Home » Chemex vs. French Press: Which One Brews the Best Coffee? Chemex vs. French Press: Which One Brews the Best Coffee? 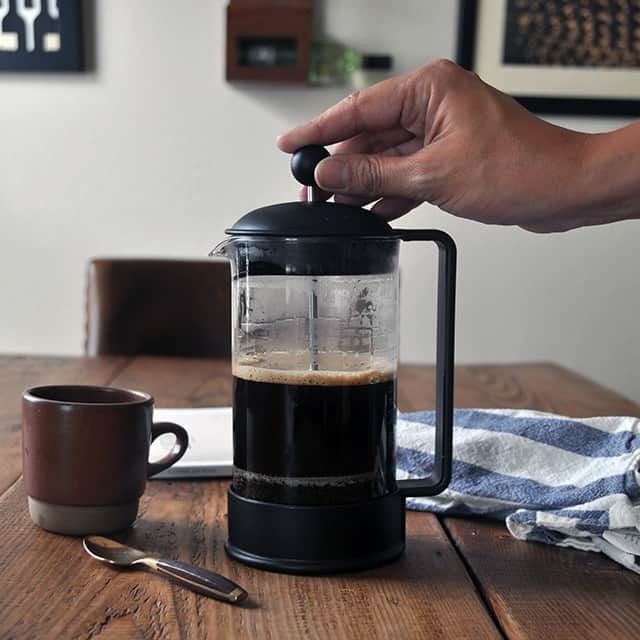 Manual coffee-making methods are gaining popularity as more people say goodbye to their traditional drip brew systems in search of a more refined coffee experience, that’s why I thought I would have a very serious look at what brews better coffee: Chemex vs. French Press? Let’s examine. Most coffee drinkers want a richer Java and have grown tired of the 3-lb. bag of ground coffee beans that start to lose its flavor the moment the bag is opened. I mean honestly, does that air vent on the outside of the bag serve any purpose at all? Whatever the reason, more people are turning to immersion brewing methods like Chemex and French Press to extract more flavor from fresh coffee beans and gain greater control over the brewing process. In this article, I will discuss both the Chemex and French Press methods of brewing coffee to help you decide if you’re ready to take the leap into the land of coffee sophistication. I stand at this crossroads with you having recently decided to ditch my drip brewer to take my love of coffee to the next level. I’ll provide a brief snapshot of the method, tell you what you need to make it happen, and give you a step-by-step walk through the brewing process to help set you up for success. By the end, you should know what method is right for you, and hopefully, you’ll be jazzed about your next cup of joe. I’m starting with the Chemex method because I find it most intriguing. Plus, it’s pretty. He chose the beaker-like glass because as a chemist, he knew he needed a non-porous labware that would impart no flavor of its own when extracting the flavor and caffeine from the coffee beans. 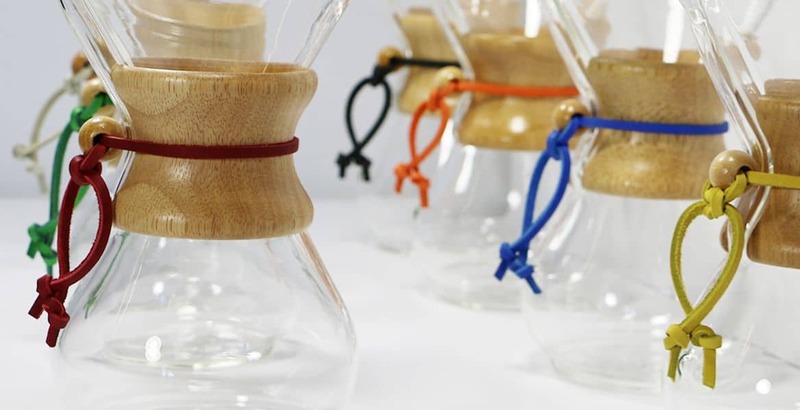 Chemex carafes like these cost between $20-$50and, you guessed it, are easy to clean and maintain. Boil the water based on the number of cups you plan to brew, plus some water to prepare the carafe. A common ratio when manually brewing coffee is 1:15 which translates to 15 grams of ground coffee per every 225 grams of water. You can adjust this ratio as you see fit. Prepare the Chemex by putting the filter in the top with the multiple folds towards the spout. You want to soak the filter with that extra hot water to prepare the carafe for the brewing process and to rinse any residual paper flavor from the filter. Discard the water. Measure one tablespoon of whole beans per cup of water or if you use a scale, weigh out 8 grams of coffee for every five-ounce cup. Place your grinds into the filter and saturate the grounds until they are wet, but don’t allow the water to drip yet, and let it stand for one minute. This part is called “letting it bloom” with only fresh beans producing a wonderful aroma during this stage. Stir the grounds to make sure there are no dry clumps. After one minute, pour the rest of the water over the coffee starting with a “wiggle pour” across the center, then transitioning into a spiral motion from the outermost edge of the filter to its center. Allow the water to drip down and avoid rushing the pour; you don’t want to fill the Chemex up to its top. If you want, you can use a scale to ensure you are using enough water. Once the water has finished filtering through the grounds, remove the filter and discard it, pour, and enjoy your coffee. To keep it warm, pour the remaining coffee into a thermos or insulated carafe. 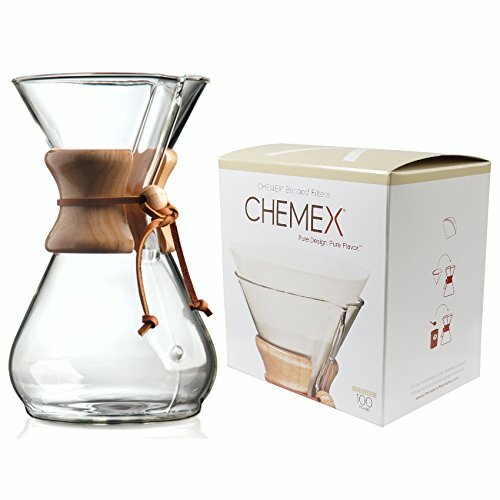 According to online reviewers, a Chemex cup of coffee takes about 5-6 minutes to brew, and the resulting java is rich and clean with no sediments to greet you at the bottom of your cup. Compared to the French Press, the brewing process is a little more involved, but the Chemex clean-up is a breeze. Thanks to its filter, the Chemex cup of coffee is clean, bright, and rich. This pour-over immersion method allows anyone with five minutes to spare to transform beans into a coffee experience. Online reviewers credit the blooming process for giving each brew its distinct flavor, and they enjoy the chance to customize each cup. I don’t know about you, but I can’t wait to try out this method to customize my own. The French Press method is the full immersion way to make coffee. It was first developed in France in 1852 by Frenchmen Mayer and Delforge and was later improved upon by Italians Attilio Calimani and Giulio Moneta in 1929. The concept is simple, to completely immerse the coffee grounds, or “steep” the coffee, and then use a metal plunger, or press, to separate the grounds from the coffee. The brew time is quick and most serious coffee drinkers use this as their weekend go-to method for brewing fresh coffee. French Press coffee is known for its strong, bold flavor and full body that results from the steeping process. Unlike the Chemex or drip variety, a French Press doesn’t use a paper filter and instead relies on a metal mesh filter to separate the grounds from the coffee to brew a strong, robust cup of coffee. You want to prepare the French Press carafe for the coffee so it is warm and ready to receive the brew, the same way you prepare a Chemex carafe. If it isn’t, the glass will absorb all the heat from the coffee and alter its flavor. Boil the water you need based on the number of cups you plan to brew, plus extra to warm the carafe. A common ratio when manually brewing coffee is 1:15 which translates to 15 grams of ground coffee per every 225 grams of water. You can adjust based on taste preferences from this starting point. Pour the extra water into the carafe, swirl it around so it touches all sides, and discard the water before brewing. You want the grind to be big enough that you can filter it out using the French Press filter. If the grind is too fine, like the kind used in traditional brewing methods, the granules will slip through the filter and end up in the bottom of your cup. Your beans should be fresh and you need to only grind as much as you plan to brew. The beans release oils and flavors during the grinding process so the freshest grind produces the best cup of coffee. When allowed to sit, even under ideal conditions, grounds can lose the oils and flavors and cause a bitter brew. Ideally, you want the temperature of your water to be 90 degrees Celsius before adding it to your French Press carafe. Once your water reaches a boil, you can usually achieve this temperature by removing it from the heat and letting it sit for a minute. Add your prepared grounds to the French Press and slowly begin to add the water, taking care to first saturate the grounds before adding the rest (about half way). You should aim to add double the grams of water as there is coffee for maximum flavor extraction (or bloom, just as in the Chemex method). Wait one minute to allow a crust to form on the top of the brew. 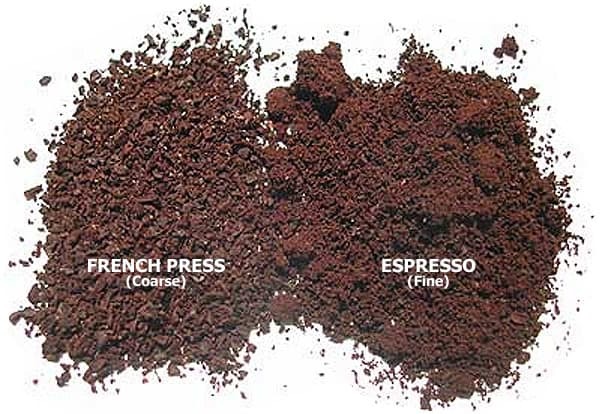 Do you see how the grounds are pushed to the bottom of the French Press? Ideally, the plunger captures all the grounds as it slowly is pushed to the bottom. Realistically, some are left behind and end up at the bottom of your cup. This method of brewing is perfect for those that like a strong, full-bodied and flavorful cup of coffee. 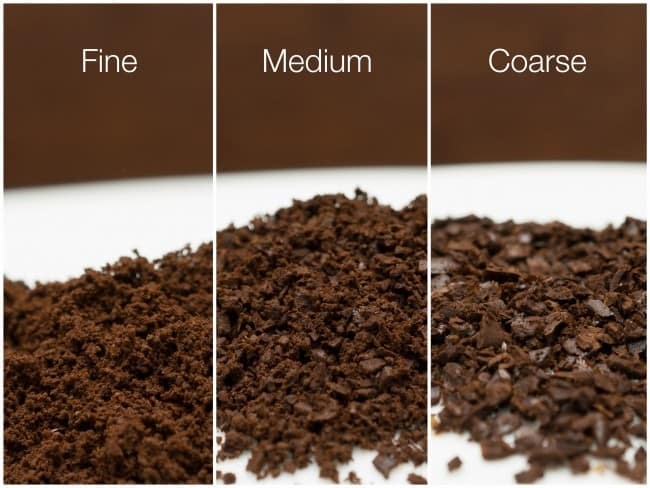 It doesn’t require any filters which saves money and is better for the environment, but you will be greeted by grounds at the bottom of your cup as a result. For most online reviewers, these grounds aren’t a big deal and are a small price to pay for a rich cup of coffee. The metal filter needs some extra TLC to make sure grinds from your previous cup of coffee don’t impart an unpleasant flavor on your next one. After each brew, you want to thoroughly clean both the press and the filter removing leftover grinds and residue to ensure an authentic brewing experience each time. I hope this information helped you decide which manual press coffee method to try. The Chemex may take a bit more effort and time, but for those who enjoy a lighter, cleaner brew it might be the one for you. For those that are pressed for time (pun intended) you may appreciate the convenience of the French Press as long as you have time to clean it later. Either way, both methods will help elevate your daily ritual to something more than just a cup of joe.